White expanded on her sculpture techniques to include stone carving, bronze and mixed-media assemblage. She learnt the techniques of stone carving from Mitzi McColl in 1987: Yin and Yang. Her sandstone Woman oppressed was exhibited in the 1989 Wynne Exhibition at the Art Gallery of NSW. McColl also taught her mould-making for bronze sculpture. The long arm of the law is the first of a series of mixed-media sculpture assemblages that combine hands carved in wood with clothing and everyday objects. Many of these assemblages and other works are inspired by idioms and sayings. White lived in Germany and The Netherlands for nine months between the time of these two solo exhibitions, also exhibiting in group shows, Galerie K61 Amsterdam. She had the good fortune to see a retrospective of Camille Claudel in Hamburg in 1990 and was impressed by her unique approach to sculpture, creating scenes with several figures and combining bronze with stone. She was inspired by museum collections in The Netherlands, especially the Kröller-Müller with its sculpture garden. She painted Backyard gossip in Weesp - Homesick while living in The Netherlands. After returning to Sydney, White worked on a circular table painting The Seven Deadly Isms, after Bosch’s The Seven Deadly Sins, which she had seen in the Prado. Her painting was selected for the 1992 Sulman Exhibition at the Art Gallery of NSW. A year later, she painted The Seven Deadly Sins of modern times, another circular table composition where she reversed the traditional sins. The crowning with sexism is a feminist interpretation of Bosch’s Crowning with Thorns. 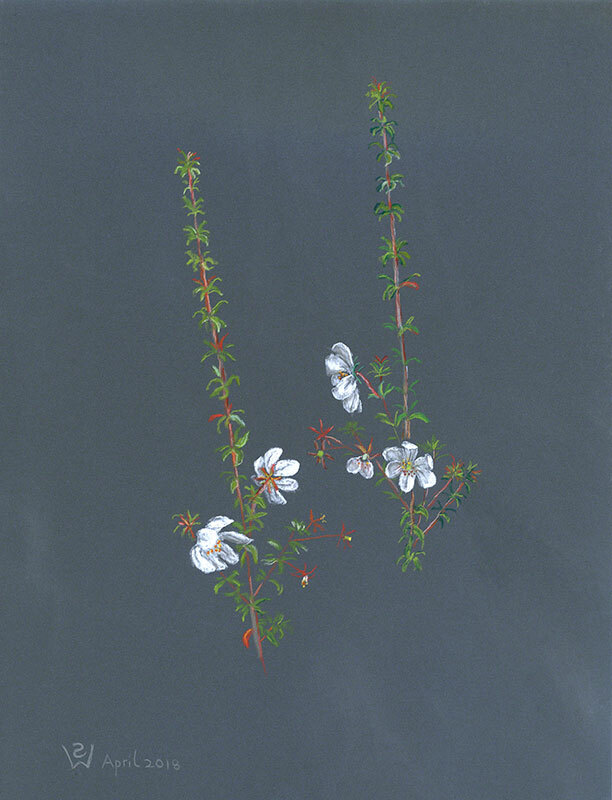 White exhibited in the Kyoto City Museum Impact Art Festivals in 1991, 1992, 1993, 1995, 1996, and 1997, showing prints and sculptures, and participated in other exhibitions. In 1994 White was invited to exhibit in the Foreign Showcase Exhibition in SoHo, New York. In the review, White is described as “… an artist equally talented and skilful as a printmaker, a sculptor, and a painter … White's prints carry important sociological messages as exemplified by The Seven Deadly Sins…”: The Seven Deadly Sins of modern times. Brain surgery in 1996 to remove a deep tumour (acoustic neuroma) resulted in the loss of her right inner ear, causing total deafness on one side and balance impairment. The traumatic experience and slow recovery inspired two self-portraits: Me after brain surgery was highly commended in the 1997 Portia Geach Memorial Exhibition, the judges describing “its complex intensity in using a delicate technique to deal with a difficult subject matter with clarity and psychological insight.” During the 1998 National Sculpture Forum, White showed sculptures in bronze, stone and mixed media assemblage in an exhibition Idioms in Mixed Mediums at The High Court of Australia. In 1998 White was again invited to exhibit in New York, this time with a solo exhibition: Portrayals of paintings, sculptures, and prints. Critics praised her work, one writing “Susan Dorothea White is an extraordinary artist - I have not seen narrative paintings to compare with these in quite some time, perhaps never in recent times.” Another described her work as “the most emotionally jarring narrative imagery in recent art” and commented on her “meticulously limned acrylic paintings.” She emphasizes the woodgrain surface in some of her paintings, making it an integral part of the artwork: The blind woman of Annandale. The Hechinger Collection (Washington, DC) purchased her mixed-media sculpture It cuts both ways and selected it for long-term exhibitions at the National Building Museum (Washington) that ran continually from 1999 to 2004. Described as “the jewels of the collection”, these exhibitions included works by Jean Tinguely, Berenice Abbott, Arman, Jim Dine, Fernand Léger, and Claes Oldenburg. White participated in the 3rd Florence Biennale 2001, exhibiting two mixed-media sculpture assemblages: Reinventing the wheel and Next-door neighbours. White’s bronze sculptures were exhibited at the Geneva International Book Fair in 1997 and in Solander Gallery, Canberra from 1996 to 2003: The spirit of the willy-willy wind. In 2000 Galerie d’Art, Nice invited her to exhibit bronzes: Close-knit family. In 2004 Josef Lebovic Gallery, Sydney mounted a special exhibition of her bronzes: Soprano singing in a Bach Passion. White embarked on an intense period of anatomy drawing in 2000. She studied and drew wet specimens in the university laboratory and plastinations, producing over 140 anatomical drawings: Anatomy of gestures in The Last Supper: Peter's hand, Back, neck and shoulder muscles, window dissections. White co-established workshops in anatomy drawing for the public at The University of New South Wales, called Step into Leonardo's Shoes, and taught in these workshops from 2000 to 2007. In 2002 she co-conducted a workshop Drawing on Rodin at the National Gallery of Australia as part of the exhibition Rodin: A Magnificent Obsession. She taught drawing at Grafton Artsfest in 2005 and has presented lectures on anatomy and art at UNSW. In 2012 she was invited to lecture on Anatomy through Art and to conduct a drawing workshop at an international conference in Bath, UK. The Buhl Collection (New York) commissioned White to produce a life-size version of the bronze Stretching the imagination in 2005. The same year she was commissioned to write and illustrate Draw Like Da Vinci (Masterclass Series – Cassell Illustrated, London 2006) with over 100 of her drawings; the book was also published in Danish, Hungarian, and French. The basic principles of drawing are explained through analysis of Leonardo's art. 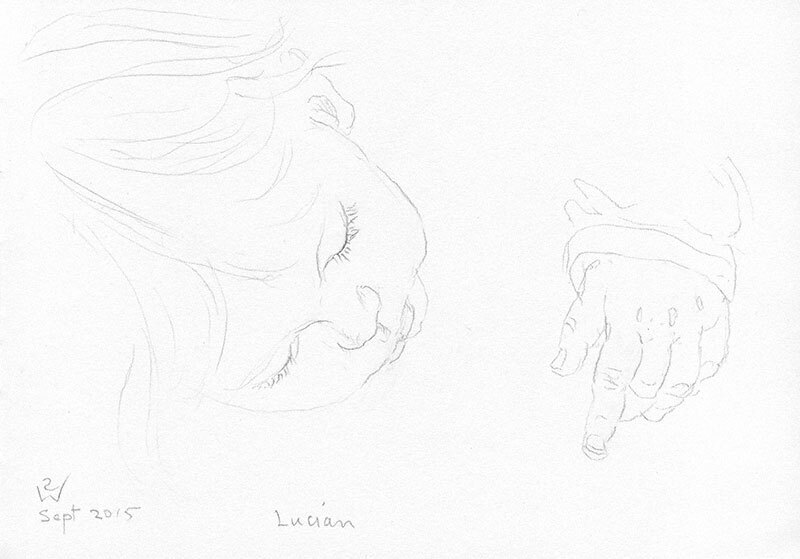 Being a left-hander and able to write back-to-front helped her to interpret Leonardo's techniques. Her interest in metalpoint drawing led her to invent a technique combining goldpoint with chalk, conté or pastel on emery paper: Gilding the Lily; later works in this medium include: Skulls, fetal and adult contrasted, Imogen drawing, Picking lilly pillies, Piper St, Annandale. White first became involved in local environmental campaigns in the 1980’s. Her watercolour Save Rozelle Bay was designed for a poster in a successful campaign to save the foreshore from development. 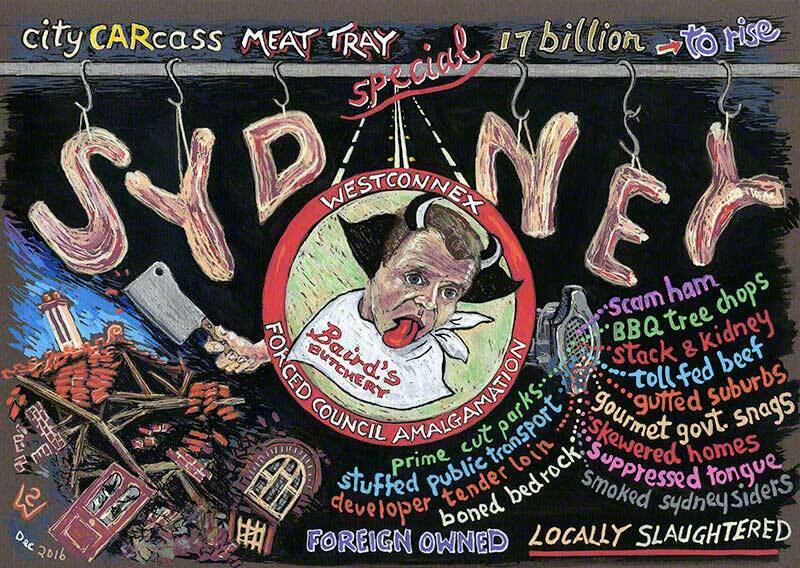 She created a series of political cartoons (2007-8) for the Sydney campaign to save Callan Park from development: Can't find a park. 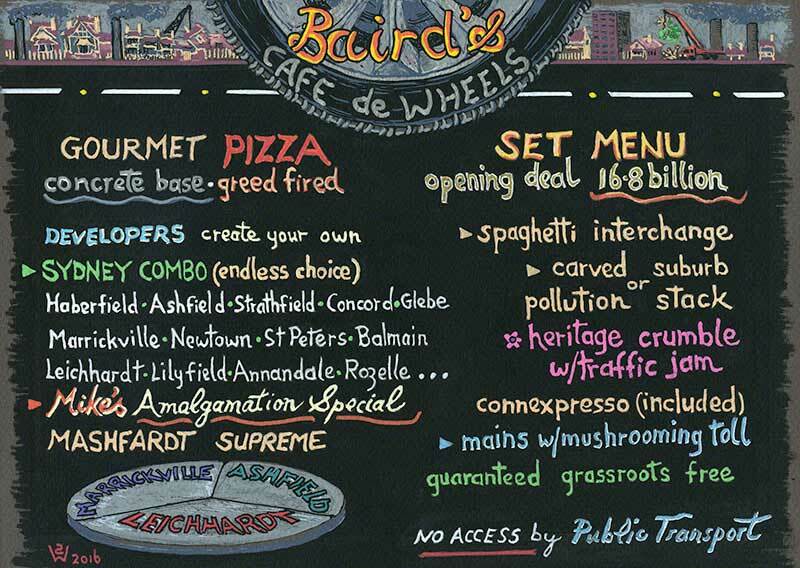 Involved in the current campaign against a destructive project to build a massive network of tollways and tunnels in Sydney, she created satirical artworks and placards: Baird's Cafe de Wheels. A survey exhibition of White’s prints Fifty Years of Printmaking 1960-2010 was held at Fyre Gallery, Braidwood in 2010. The exhibition included 66 prints, comprising lithographs, etchings, and woodcuts: The Magic Pudding, Goose Camp Kakadu: moonrise at sunset. In 2013 White participated in a curated fringe exhibition during the opening month of the 55th Venice Biennale: Sapere Aude – Circuito Off, where she showed her painting The anatomy lesson of Dr Freeman and sculpture­–assemblages Lost for words and Measure for measure. White’s mother, who lived to 102 inspired the painting Mum's centenarian sunset and the carving in pink Angaston marble Centenarian sunset, Mum at 102. Three of White’s sculptures inspired by idioms and sayings were selected for HarbourSculpture 2017 – To cut ways was awarded First Prize Inside. 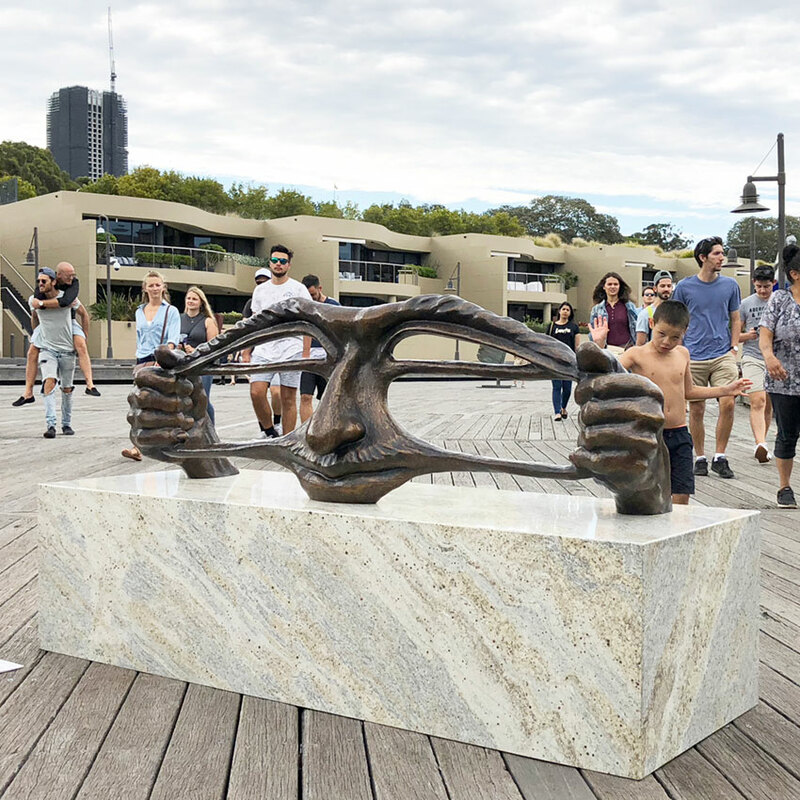 Her monumental version of Stretching the imagination was selected for Sculpture @ Bayside at the Bayside Arts Festival, Sydney, April 2018.